Hey! Are You a TiViTz Office 365 Classroom? Classrooms play TiViTz through Office 365 to win prizes, like having a McDonald’s lunch party in their classroom. Yum! 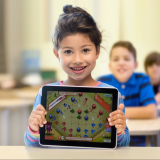 Kids can win a XBox Live or Minecraft Gold subscription and teachers can win a Surface Tablet! 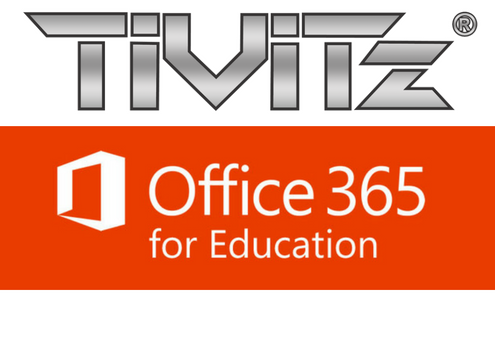 Many thanks to Microsoft Education for its support of the TiViTz Office 365 Program! Attention teachers, tutors and math coaches: As a Microsoft technology partner, your students can use their Microsoft Office 365 login credentials to play TiViTz online. Last spring, classrooms across Hillsborough Country played for prizes, including Lightning tickets, Minecraft and XBox Live subscriptions and McDonald’s lunch for the class! 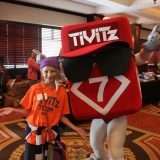 Let us know if you are interested in running a TiViTz Office 365 Challenge in your school district! Simply have your students sign in to TiViTz using their Microsoft Office 365 account and we’ll be able to keep track of your games. Want to know where your students are struggling? Our new Challenge Game tools allow you to invite your students to play TiViTz. Once the game and score sheet are completed, you will receive a report detailing student skills that may need extra attention. Here are five TiViTz videos made by a participating teacher! These will provide a teacher’s perspective and help you and your students log on and play TiViTz Office 365! Are You a TiViTz Office 365 Class? Eligibility: All schools, students and teachers in XYZ School District. Prize awards criteria: All prizes are awarded according to the number of TiViTz games played online while logged in to play with your Office 365 credentials. A “game played” is defined as a game played through to a completed score sheet. 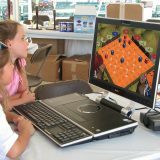 These games may be played against the computer or against a friend (as long as you are logged in with your Office 365 credentials) at school, after school and at home, 7 days a week. Weekly prizes are awarded for games played from Monday morning to Sunday night, monthly prizes are awarded for games played from the first day of each month to the last day of the month and annual prizes are awarded for games played for the duration of the program. Remember: Students may play games at home and after school as long as they are logged in with their Office 365 credentials! Restrictions: Weekly – Your classroom may win multiple McDonald’s® Classroom Parties however, you may not win two parties in the same month (within 30 days of your previous win). Monthly – Teachers/Classrooms may only win one monthly prize. If you have questions, please email us at info@tivitz.com with “TiViTz O365” in the subject line. Playing TiViTz Online = Great Prizes! Weekly: Win a McDonald’s® Classroom Party! The six classrooms with the most Office 365 TiViTz games played will win a McDonald’s Classroom Party, sponsored by participating Caspers Company McDonald’s Restaurants. 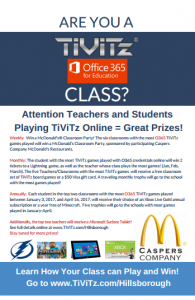 Monthly: The five Teachers/Classrooms with the most TiViTz games played with Office 365 credentials will receive a free classroom set of TiViTz board games or a $50 Visa gift card. A traveling monthly trophy will go to the school with the most games played! Annually: Each student in the top two classrooms with the most Office 365 TiViTz games played during the competition will receive their choice of an Xbox Live Gold annual subscription or a year of free Minecraft. Five trophies will go to the schools with the most games played. Additionally, the top two teachers will receive a Microsoft Surface Tablet! Stay tuned for more prizes!